Printed electronics has evolved into a driver of innovations in many industries. After consumer electronics and the automotive sector, the focus is now increasingly moving to the healthcare sector. Therefore, printed electronic components for the medical and pharmaceuticals market are one of the key themes of LOPEC 2017. The International Exhibition and Conference for the Printed Electronics Industry will take place at the Messe München trade-fair center from March 28 to 30, 2017. Dr. 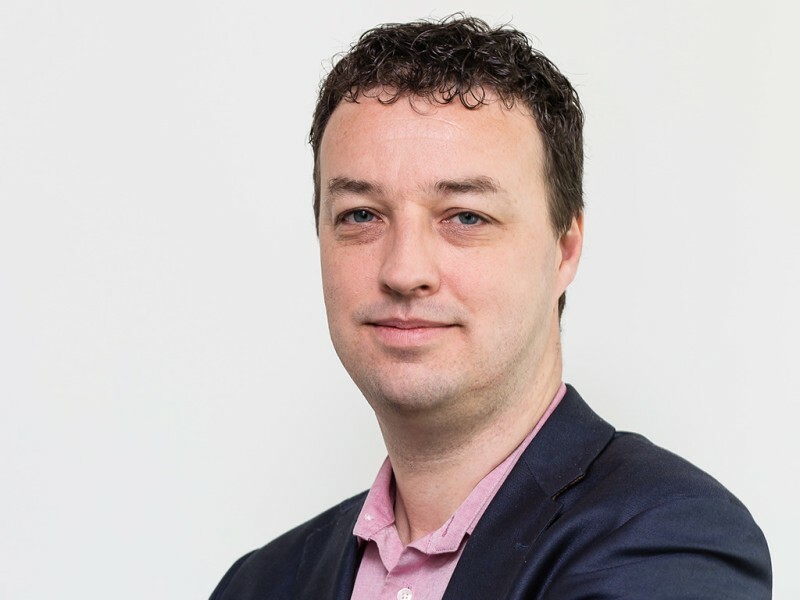 Ton van Mol, Technical Chair of the LOPEC Conference and Managing Director at the Holst Centre in Eindhoven in the Netherlands, explains the advantages that printed electronics offers. LOPEC 2017 turns the spotlight on the healthcare sector. What can visitors expect? We will be offering multiple talks on printed electronics in the healthcare sector at the LOPEC Conference, among them sessions on biomedical applications, wearables, and stretchable electronic systems, all of which are closely linked. For example, Professor Matti Mäntysalo from the University of Tampere in Finland will be presenting a bandage that measures the heart’s electrical activity and transmits the values to a cell phone. The electrodes for these are printed on stretchable bandage material. The pharmaceuticals group Johnson & Johnson will be giving a talk at the LOPEC Conference, and the chemicals company DuPont, which is extremely active in the medical sector, is organizing a session on this subject. There will of course also be many innovations for the healthcare sector on display at the exhibition itself. Our healthcare system is facing major challenges caused by demographic changes. How can printed electronics help solve the problem? One idea is to use printed electronics for health monitoring of patients in their own homes, with the aim of detecting problems early so that fewer and fewer people require medical treatment in hospital. 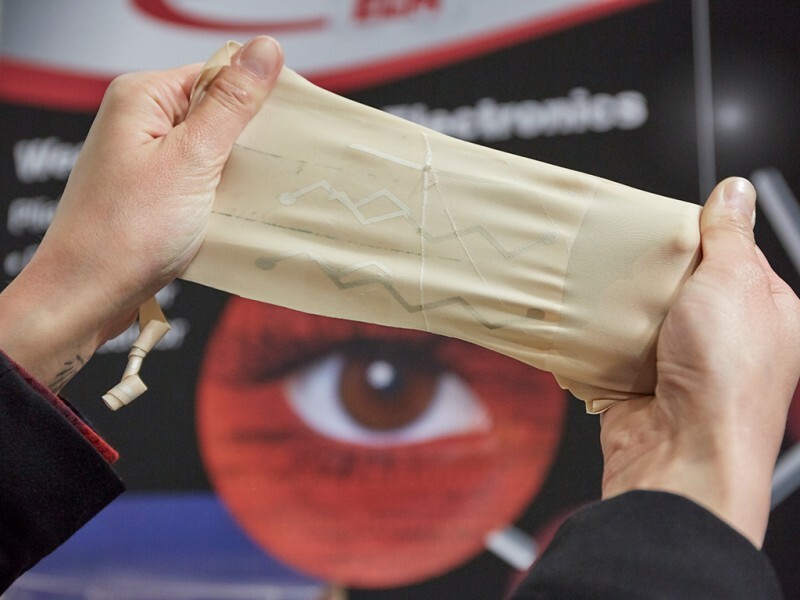 The simplest way to monitor vital functions is using sensors that are worn directly on the skin at all times, integrated in a type of patch, in bandages, or in clothing. For optimum skin contact, we need stretchable electronic components because people move and this causes their skin to stretch. Printed electronics offer a clear advantage here as they retain their electrical properties when stretched and it can be applied directly on rubbers and textiles. When will we see these monitoring systems on the market? The Holst Centre will showcase printed sensors and ‘health patches’ that measure physical functions at LOPEC 2017. Some of these sensor systems should be ready for the market next year. Printed pressure sensors are intended to be used for monitoring patients with sleep apnea, for example. 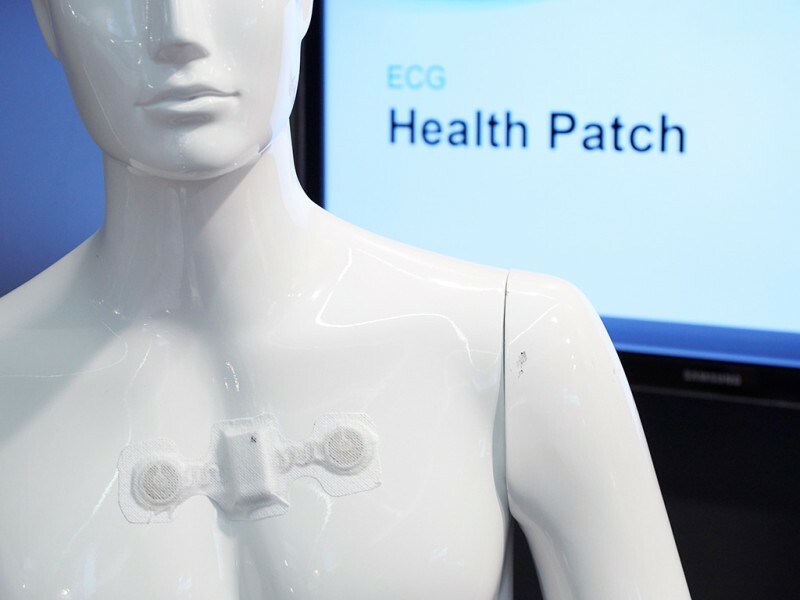 ECG patches for measuring cardiac activity will also be available soon. What printed electronic components are already being used in the medical market? Rapid tests with printed electrodes, for measuring blood sugar levels for instance, have already been available on the market for a long time and are printed in their billions. They were joined a few years ago by smart medication packaging, which controls the taking of regular medication by chronically ill patients. Small circuits are printed onto blister packs and these are broken when the patient takes a pill. This can be tracked via a wireless signal. Are there printed electronic components that are intended for use inside the human body? We see the potential here and one example would be to control implanted catheters using piezoelectric polymers. These are plastics that deform when an electric current is applied or, conversely, produce an electric current when they are deformed. The advantage of printing technologies is that they can be used to produce very thin, flexible components. We will no doubt see products for use in the body in the future, but for the time being printed electronics will become established in external applications. Even good ideas often fail when making the leap from laboratory to widespread use. How does LOPEC help to ease this transition? LOPEC provides the perfect setting for bringing the printed electronics and end user industries together. Many companies are still relying on traditional electronics and are therefore not even aware of the possibilities offered by printed, flexible components. This is not only the case in the healthcare sector, but also in the automotive industry, the packaging industry, the energy industry and the consumer electronics industry, for example. End user industries can get all the information they need at the LOPEC Exhibition and Conference. What innovation from printed electronics is particularly driving the healthcare sector? There are many such innovations. The development of materials that are electrically conductive and also stretchable was undoubtedly a crucial development because, as we have said, for applications on the skin we need stretchable electronics that adapt to the wearer’s movements and deliver reliable data at the same time. Flexible electronics are not just organic electronics. There are now also components made of nanosilver, which are stretchable up to a certain point. Silver even offers benefits for some applications due to its antimicrobial properties, while for other applications alternatives are being sought. Electrodes printed on the electrically conductive polymer PEDOT are intended to replace some silver electrodes, for example. LOPEC will provide detailed information about material innovations and also about new printing technologies such as 3D printing at exhibitors’ stands. These subjects will be discussed at a scientific level at the LOPEC Conference. 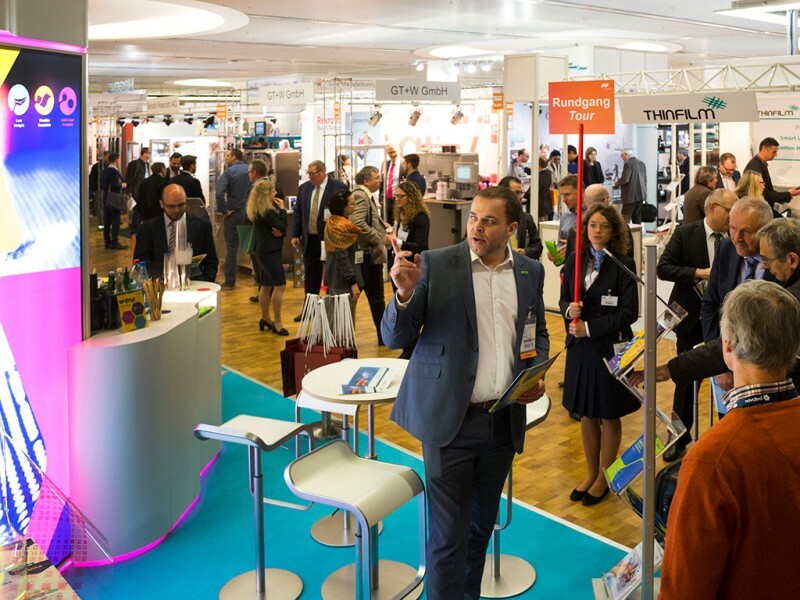 What can you expect from LOPEC 2017? LOPEC will help printed electronics to find more and more industrial users so that more and more products from all possible areas contain this technology. We have seen how commercialization of printed electronics is progressing at a steady pace in photovoltaics and other industries. The healthcare sector will follow. LOPEC gave major impetus to many sectors in past years and I am sure that it will deliver a boost again in 2017. Printed electronics help to integrate sensors in patches, bandages or clothing. The electronic components are strechable and flexible. LOPEC unites the entire international industry under one roof.